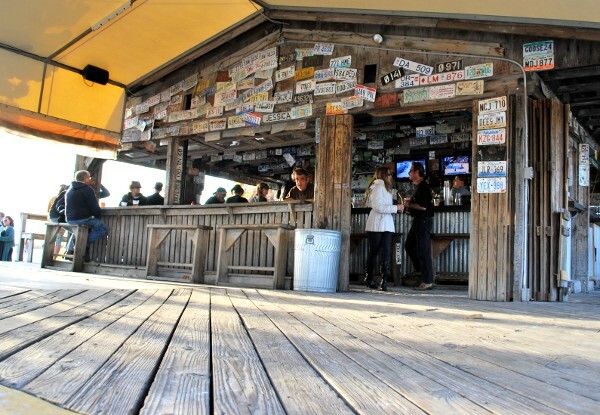 The Postcard Inn is a hip and lively budget hangout for surfers with style. 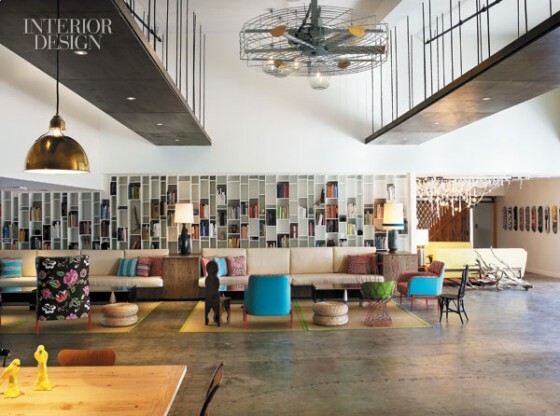 At the Postcard Inn in Florida, near Tampa, the vibe is budget boho. 196 rooms in a revamped Travelodge with a huge pool at a price that allows you to fill your suitcase with new bathing suits, or save up for a new surfboard. 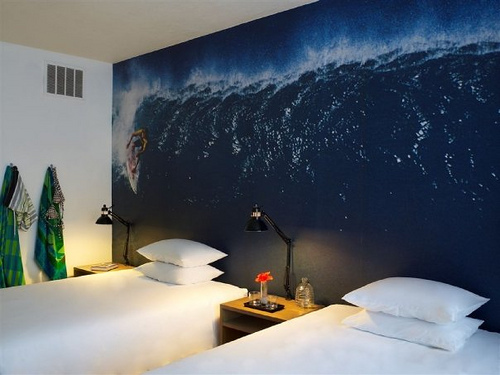 Decor is retro surfer, with wave-themed murals and photographs by local artists. Splashes of blue and green hues are provided by cushions and chairs in retro 1950s turquoise. Doors are also painted in the same vibrant seaside shade. Not only was the building itself upcycled (the original plan was to demolish the old motel and build a new one), reducing waste and removing the need for new building materials, it is also furnished with many vintage finds. Guest rooms have flat-screen TVs and free WIFI, as well as reconditioned surf gear. For the full beach vibe, get a poolside cabana or beach bungalow, complete with a hammock in a private mini-yard. Rates from $79 excluding tax, but including a 24-hour gym, to keep those surf muscles toned up night and day.